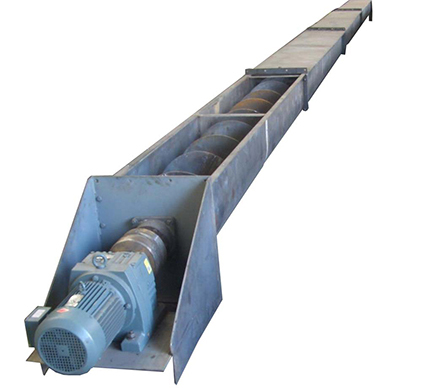 MRS-type Scraper Conveyor is suitable for transporting granular marerials, such as:Calcined Dolomite, ferrosilicon particles, carbon etc. 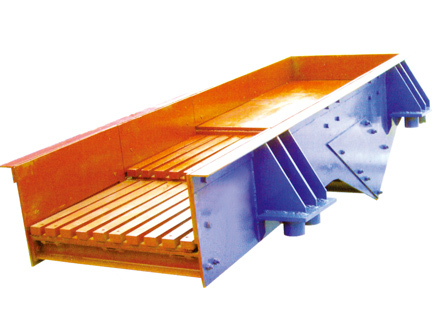 Scraper Conveyor is the main transporting tool for coal mine, chemical mines, metal mine, power plant and etc. It could transport the material horizontally, inclinedly or vertically. With reasonable structure, more material could be fed. It could realize stable running and small noise, because scraper moves due to the transmission of planetary cycloid pin wheel reducer. It is composed of central tank, chain, scraper, head drives, tension devices, material-outputting and feeding device, and also Chain tight etc for tightening chains. Machine head is composed of head frame, motor, coupling , reducer, and chain composition and etc; Middle part-transition slot, central groove, chain, scraper and etc; Machine end is the scraper chain tensioning device. 1. With simple and strong structure, it could bear the external force of punch, hit from the material. 3. It could realize horizontal, tilt, vertical transportation and etc. 4. With good tank leakproofness , it is suitable for dusty, volatile materials with less sust. 5.It could also be used for high-temperature material.